Snow Badua has confirmed that there are three import candidates who might play for the B-Meg Derby Ace Llamados in the Governor's Cup. One is Quincy Douby and the other is Courtney Beasly. The third one is confidential and it has not been revealed by Snow Badua. Let's wait for further announcements. For now let's take a look at the first two choices of B-Meg. Quincy Douby is a former NBA Player. 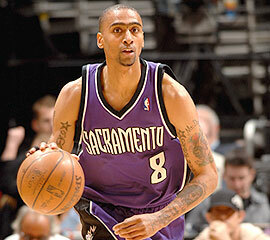 In the NBA he played for the Sacramento Kings and the Toronto Raptors. He was a former first round draft pick by the Sacramento Kings. He stands 6'3 without shoes. In college he led the scoring for the Rutgers University. He set a scoring record in the NCAA Division 1. He averages 24 points and 5 assist per game. He also played for a Turkish professional team. He is known for his three point shooting. He is shooting 37 percent from beyond the arc. If he will be the import of B-Meg, there will be no problem in terms of scoring but the problem lies on how coach George Galent will use James Yap along side this import. This import is also thin and he might not be able to adapt in the PBA's physicality. Here's how Quincy Douby plays ball. 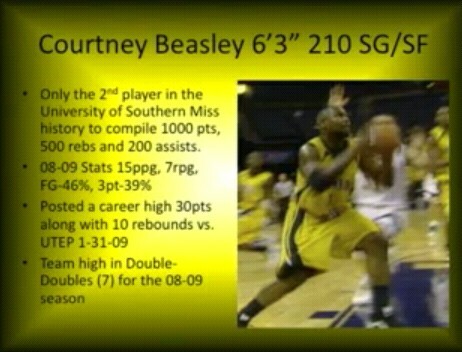 Let's now go to Courtney Beasley. He's body is like that of Nate Brumfield. They almost have the same built. This import plays bigger than his 6'3 body. He relies on his power and but he also has graceful moves. He plays like Bobby Parks Jr. of the NU Bulldogs. Beasley can shoot threes and he can also drive the ball to the basket. He is a complete package. I believe that he will be more effective for B-Meg than Douby. Coach Alvin Patrimonio personally wants this import. Beasley averages at least 15 points per game and 7 rebounds. He can score 30 points if he wants. He's a team player and he can bang bodies with other PBA players. Here's how Beasley plays ball.